Before we get too far into this, be sure to check out this site for great crossbow reviews: http://bowauthority.com/best-crossbow/. You will be glad you did! As my longtime readers know, I am an avid user and proponent of crossbows. I like them for a lot of reasons and decided long ago that I would focus my energy on learning and using a crossbow instead of a traditional bow. This decision did not come lightly and took several years to come to. Now, do I think crossbows are for everyone? No, of course not, everyone needs to come to that conclusion on their own. That is why I am writing this, to help you decide which you would rather use, a crossbow, traditional bow, or neither (a very reasonable choice). 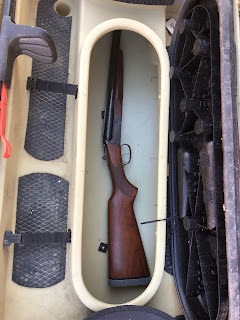 If you are like me, you started hunting with a traditional, centerfire hunting rifle. You probably hunted for several successful seasons with a rifle. After a few years you decided to branch out to muzzleloading. For me, this choice was made because the muzzleloading season is longer in my state, starts earlier, and does not require blaze orange. With the advances of muzzleloaders, they are just as accurate and powerful as traditional rifles out past 100 yards. So, the jump just makes sense. Muzzleloading has become my favorite form of hunting. Soon after starting to hunt with a muzzleloader, I discovered that the game is much more plentiful early in the season. Why not extend the season even further with archery? Then came the big decision: Crossbow or Compound bow? I knew from the get go I did not want to fool with a recurve or longbow. Although I GREATLY respect those that do! Now, there are a ton of pro’s and con’s to both Crossbows and Compound bows. It is not an easy decision. First, lets test your ideology. Why are you bow hunting? Is it for the challenge? Do you crave the satisfaction of hundreds of hours of practice paying off? If you answered “yes” to these two questions then you might be leaning towards the compound bow. They require more skill to use. There is no doubt. During the hunt there is a lot that can go wrong when using a compound. One of the hardest things is that you have to draw without the game seeing movement. It also takes months of practice to consistently hit the vitals of a deer at 30 yards. Do you have time to devote 30 minutes a day for practice? 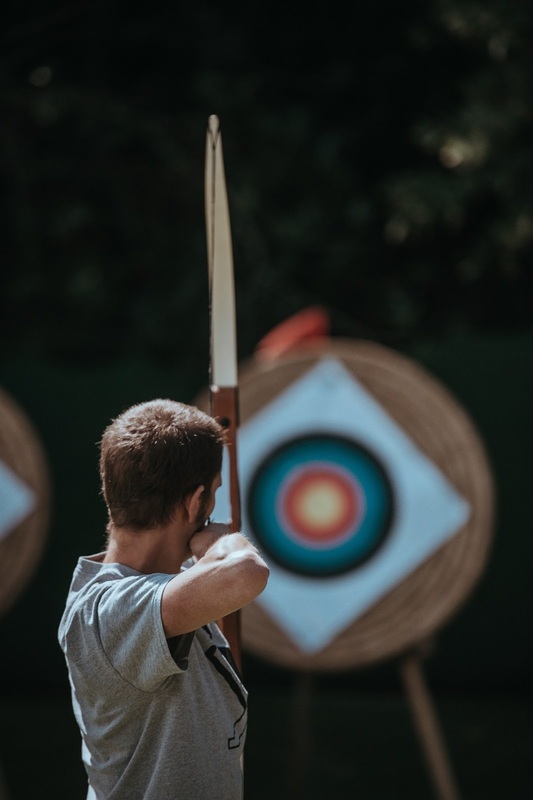 Do you enjoy repetitive archery practice? If yes, then a compound is for you! However, are you hunting for meat or simply to extend the season? Do you get your satisfaction from a clean kill? Do you not have time to learn a new skill? If you answered yes to these questions, then a crossbow might be for you. There is no doubt that they are easier to use. Out of the box, I was shooting 1-inch groups at 30 yards after less than an hours practice. This ease of use means you have less chance to wound an animal. I know several hunters that gave up on bow hunting after terribly wounding an animal due to a poor shot. There is no drawing, you simply aim and shoot. The crossbow arrows (called bolts) are even shorter, making them easier to carry! I chose a crossbow because I did not believe I could consistently make a clean kill with a compound. A clean kill this the most important thing to me. Crossbows take a long time to load while a follow-up shot from a compound can be made quickly. Crossbows are usually louder than compounds. Compounds usually have a little more range for the very experienced archer. Compounds require more accessories (release, sights, and other doo-dads) that can break, get lost, or get hung up in brush. Compounds are safer (sometimes). 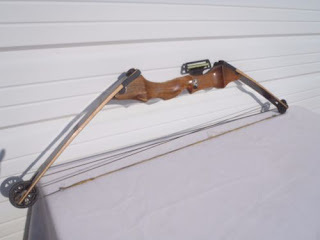 Many people leave their crossbow loaded when climbing a stand or walking around. This is not super safe. You have to unload a crossbow if you do not shoot it. This is one of the biggest headaches for me. I usually use an old, sacrificial bolt. Lastly, the biggest questions of them all is should you use a bow at all? It is harder than you think. I had a trophy buck within 20 yards of my stand once. He stood behind a clump of grass for 20 infuriating minutes eating. 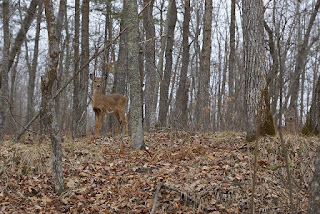 If it were gun season, I would have put him down, but because I had a bow, I could not risk shooting through some grass. Arrows do strange things when they hit the smallest things. Tracking animals hit with an arrow is a skill in itself and loosing kills is not uncommon. In the end, it is up to you and what your priorities are. Now go out there and make your decision! Essential Kayak hunting tips for beginners. If you have followed this blog for long, you know I am a big believer in kayaks. I absolutely believe they are the most fun you can have fishing. The excitement of being down there with the action and having a large fish pull you around is absolutely unmatched in the outdoors. Couple that with the ability to go places boats cannot and the ability to go there silently makes them the perfect fishing platform. I am not the only person who recognizes this and kayaks are getting more and more popular. Innovations are being made and the boundaries are being pushed in what they can do. Gone are the days that kayaks are used solely for touring. You name a water based outdoor adventure and someone has probably done it in a kayak. One of the last frontiers we are seeing with kayaks is hunting. 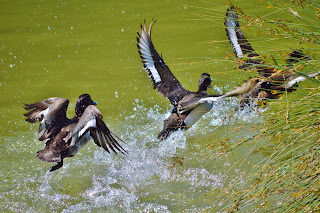 A few years ago I started seeing my friends go out duck hunting in their kayak. Some have even attempted larger game, gaining access to hard to reach public land for deer, turkey, and varmints. Like kayak fishing, kayak hunting requires careful planning and gear selection. It takes a lot of effort, but the effort is often well worth it. 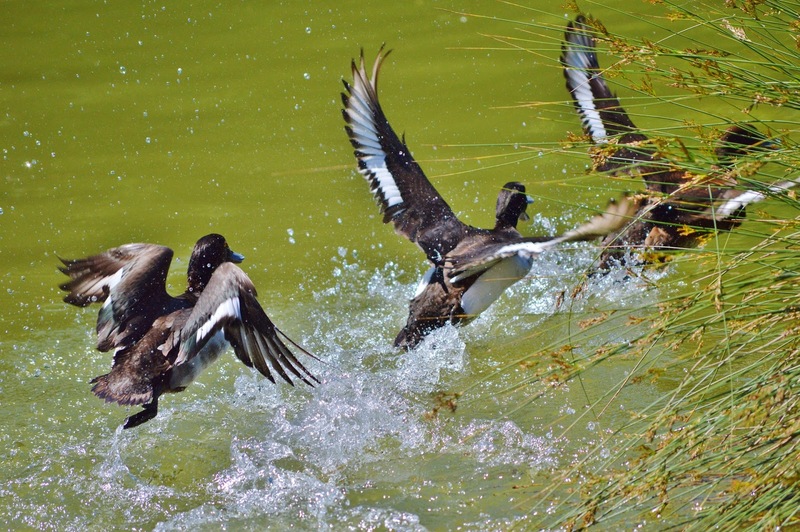 The first thing you need to look into is the laws concerning both boating and hunting. It can get complex depending on your area. In my state, it is illegal to shoot deer from a boat. You also must have safety lights, even on a kayak, at night. Your state or country will have different laws, so just go over them carefully before you do anything else. After you make sure you are doing everything legally, you need to make sure you do everything safely. For this you will need some gear. The most obvious is a PFD. If you are in a kayak you should be wearing one. Period. Other than drowning, the biggest danger is hypothermia. Hunting is mostly done in cold weather. A dunk in a lake with your normal hunting cloths in near freezing weather is deadly. You will get very cold very quickly. You need to be wearing a good pair of insulated waders with a belt (so they do not fill up) and a dry top. A dry top is a pullover type jacket that is designed to keep you dry. They are somewhat expensive, but just as necessary as a PFD. Another option would be a complete dry suit. Although they can be on the spendy side. Another consideration is your kayak itself. A small kayak might not cut it. It needs to be able to carry you, your gear, and your kill. Check its weight rating and add at least 150 pounds to your weight. Can it handle it? Ok, so you have squared away the legal and safety stuff, now onto the fun stuff! The main purpose of a kayak when hunting is to get you to a good spot, a spot no one else has access too. Sometime this means an hour or more paddling. Be sure you have a good seat so you can sit comfortably. A good paddle is also important. I like a long touring paddle, but you will need to try several to find a type that fits your style. Depending on your quarry, you may need some specific hunting gear. Duck hunting requires the most gear. They sell some amazing camo for kayaks. You can turn it into a small floating blind if you wish! Some people I know tow a small raft for all their decoys and camo. Waterproof storage of ammo and your gun should also be considered. My kayak has a waterproof opening in the center that fits a shotgun perfectly, however not all do. You need to carefully consider this. 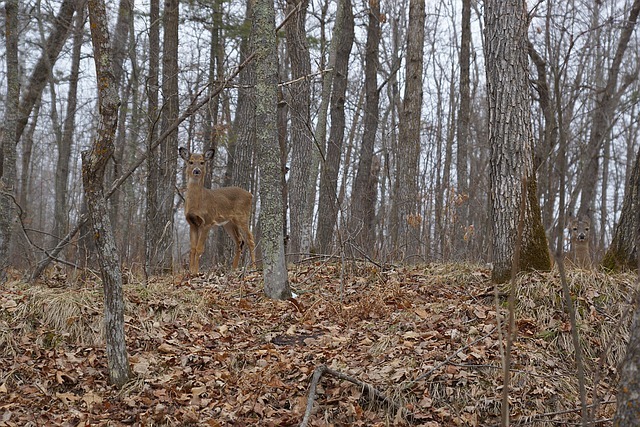 Deer and other larger game come with their own needs. Most importantly, how are you going to bring your kill back? For small game there are specially designed coolers to keep your catch on ice. Larger game will need to be lashed to the deck of your kayak. This can get very tricky. You need to have the straps and a good plan for accomplishing this. Having a deer fall off your kayak or causing you to capsize is a nightmare I don’t even want to think about! Using a kayak to hunt can give you the edge you need, especially on public land. However, it does come with a lot of extra considerations. Do your homework. Make a plan. Get the right gear. You will not regret it! Wow! I have been going through a lot of changes lately! Two fairly big ones that affect this blog. First, I got a new truck! I drove my old ’99 Toyota Tacoma for most of my adult life and loved it. However, it had a major rust problem. I could put my fist through some of the holes in its frame. Considering I drove my kids around in it, I just did not feel safe in it any more. So, I got a Honda Ridgeline! Big upgrade. It is nicer than the Toyota in almost every way. Safer to be sure, but also much, much more cargo capacity. Change #2: We are moving out of the city and into the mountains! Yea, this is the big one. I’m not going to go into details, but moving is complicated. The company is paying for the move, so we have movers. Naturally, there is a gap between when our stuff leaves and when it arrives. So for this three or four day period my family, complete with three dogs, will be living with just what we can fit in that new truck. Oh yea, I forgot to mention that the moving company will not move some things. Namely firearms and ammunition……. I have a lot of those. So, they need to find a place in my truck also. As you can imagine, I am looking for ways to expand the storage in my truck. There are many options, but for me the best bet is going to be the Big Daddy Car Roof Bag. This thing is amazing! First of all, I don’t need a roof rack to use it. 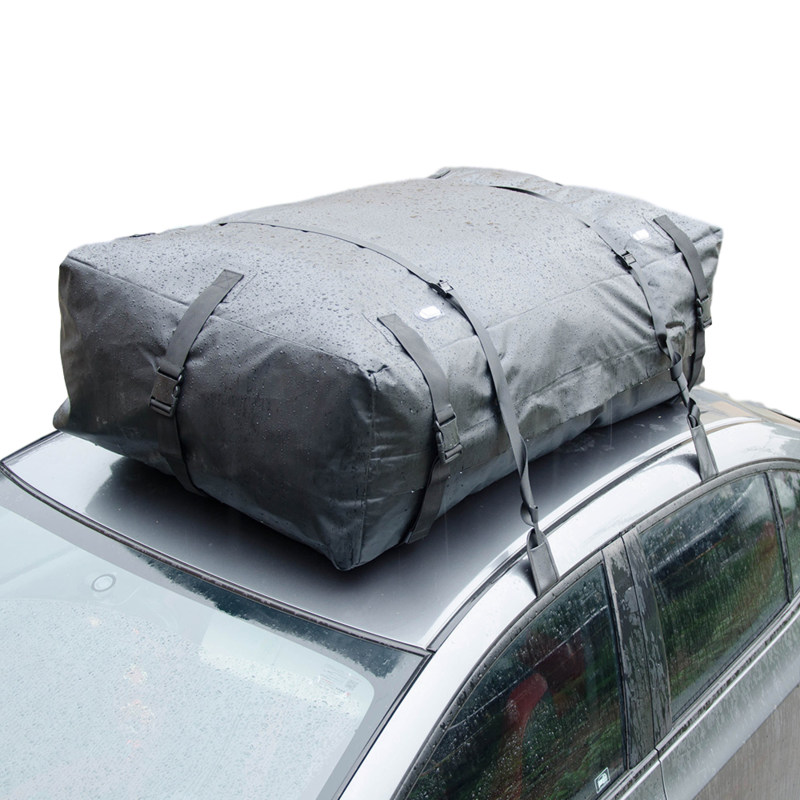 It works with roof racks, but if you don’t have one, no problem. 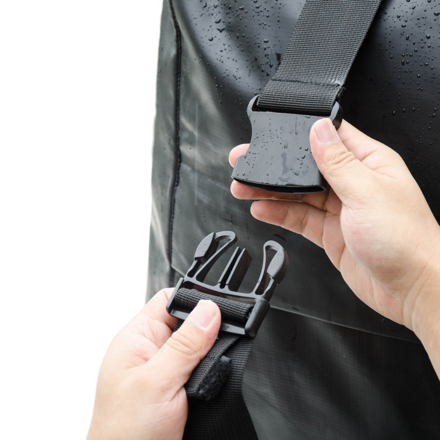 It uses straps that install through your cabin making it super secure. It is also fairly easy to install. Easier than a traditional rooftop carrier to be sure. It is also large. 14 cubic feet large! That is the size of the trunk in my wife’s car! We will be able to get most of our “extra” stuff up there. If you are going camping it would fit your tent, four sleeping bags and mats, plus your food with room to spare! 14 cubic feet might not sound like a lot, but it is! 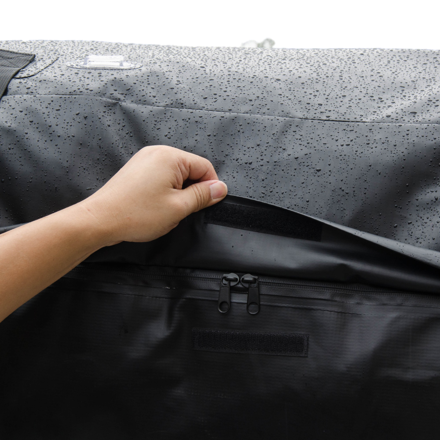 Now, some rooftop bags have a problem with leaking. Not this one. It is rubberized and sealed. The stuff inside will not get wet. Period. This was a big sticking point for me. We will be moving in the dead of winter and it will be our household stuff up there, it cannot get wet. I don’t plan on using mine often so storage of the actual bag when I’m not using it is a concern. Thankfully it is fully collapsible and stuffs down into a stuff bag. Much smaller than a sleeping bag. Easy peazy! I can just store it with my camping gear. I should probably mention how inexpensive it is. Very inexpensive. You can buy them from their web site for £69.99 (about $94) or on Amazon. Here is a link to the Amazon listing. They are out of stock on Amazon right now, but I have been told that they will be back in stock mid January. 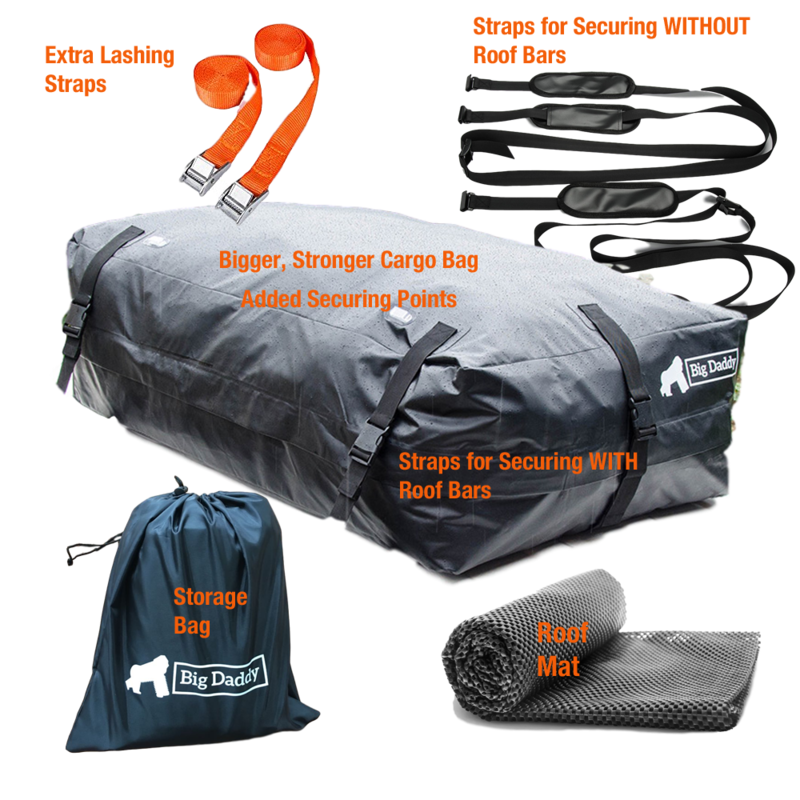 This comes with everything, including all the straps you need plus a roof mat and stuff bag! 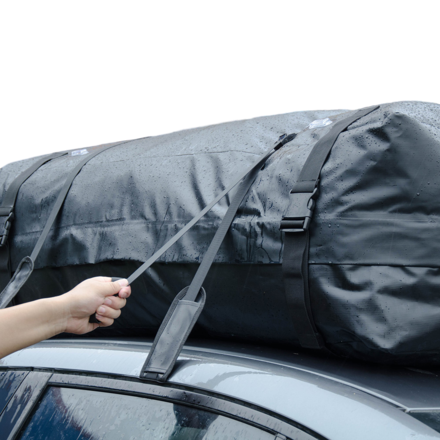 If you are looking for roof top storage for your car or truck, I recommend trying the Big Daddy Car Roof Bag. I think it is a good choice! While you are on their web site, check out their other products. They have a lot of unique, well designed products, including a kids camping cot. I think we will see a lot more out of this company in the future. 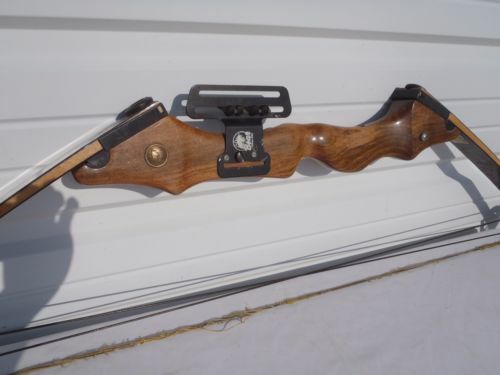 Do you remember your first real bow? By real I mean one that you could hunt or compete with. I remember my first bow. For my 15th birthday my dad bought me a used Brown Bear compound bow. For the past year I had been watching a hunting show every Saturday morning. I don't remember the name of the show or the name of the hunter, but he was a bowman. A very good bowman. Each week he would go on an exciting hunt. I still vividly remember the episode where he hunted antelope by staking out a fence corner and shooting one as it ran by. One of my favorites was the time he hunted geese with a bow, successfully shooting one out of the air. I had dreams of going on bow hunting adventures with my dad. Now that I had a real bow, I could. Oh! The innocence of youth! My new bow was beautiful. Unlike most modern compound bows, the Brown Bear was made almost entirely of wood. Compared to modern standards it was archaic. Have you seen the latest bow technologies? 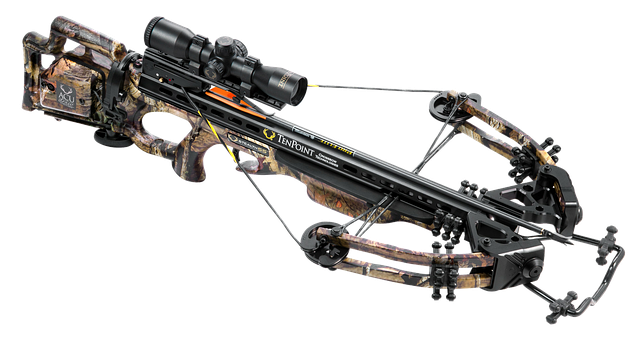 Check out the best compound bows available now! Most of them look like something out of a sci-fi movie. Totally cool! My bow was not like that, but I loved it anyway. I set the pull weight to 45 pounds (just like the guy on TV had his) and practiced, practiced, practiced. I originally could not afford a sight, so I taped hat pins to the bow with masking tape. You know what? Those hat pins served me well for months! I also could not afford fancy aluminum arrows. I shot wooden arrows. Yes, wooden arrows out of a compound bow. I'm not sure if I was supposed to, but I never had problems with it. Probably because the bow was so weak and slow. We lived in a very small town. The only place to get archery supplies was in an old guy's garage. He was an old fashioned bow hunter. Re-curve bows were the only way according to him. He convinced me that the only good broad heads were these long single bladed things. They looked like something out of a Robin Hood movie. His reasoning was that when you shot something it would run away from you with the arrow still in it. As the animal ran the arrow would wiggle around, cutting it up in the inside. 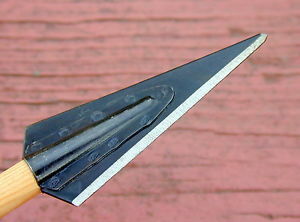 A broad head with more than one blade would get stuck and not wiggle around, causing less damage. Those were good days. I practiced and practiced, never getting very good, but improving little by little. I used a paper plate as a target and hay bales as a backstop. I finally got to the point where I could hit the paper plate almost every time from 30 yards. I also got pretty good at stump shooting. Every time we would go into the mountains I would take my bow and practice by walking through the woods and shooting at random stumps. This was great for teaching me to judge distance. Wooden arrows came in handy here as they did not bend when they hit a rock and were cheap to replace when lost. I never really went on ant big bow hunting adventures. Bow hunting is much harder than it looks on TV. I did, however, go on some great bow fishing adventures! Including one where I received my worst injury while on an outdoor adventure. My bow came with a bow fishing kit that was essentially a spool of twine that screwed into the stabilizer hole and a fiberglass arrow. You simply tied the string to the end of the arrow and shot it at fish. It is so much fun! I had days and days of fun shooing at "suckers" and "squaw fish" (what everyone called them) in the river on our local Indian reservation. Yes, it was allowed, and yes I had the proper permits. The squaw fish actually had a $2 bounty on them for eating salmon eggs. My dad would drop me off in the morning and I would fish with my dog until the afternoon. My favorite tactic was to sneak up to a ledge and pop over the edge with my bow raised, shooting the fish sitting in the shade. It is seriously one of my favorite childhood memories. Kinda dangerous when I think back on it. Once the twine got wrapped around the bows sight and slingshot-ed the arrow into my side. The nock of the arrow went in pretty deep. It happened so fast I had no idea what happened at first. I though that someone had shot me. There had been some racial unrest and some white men had been shot at while on the reservation that summer. I though someone saw me fishing on the reservation and decided to kill me. I honestly thought I was dying, so I curled up in a ball and waited for the end to come. After a while, I have no idea how long, I decided I was not actually dying, so I painfully sat up and checked myself out. It was ugly, but had stopped bleeding. Somehow I made it back to where my dad picked me up each time and sat there, slowly feeling better, until he arrived. It's amazing all the memories one little object can bring back. If you are looking into starting bow hunting, or are currently an enthusiast, check out this site for some great articles and reviews, including bow hunting prerequisites! Hunting can be as complex or simple as you want to make it. Most of us love gear and trying out new things, but the fact is you only need a few things to hunt. The best and most experienced hunters I know carry very little with them into the woods. In fact, a great way to tell if a person is a good hunter is to look in their hunting pack. The smaller it is, the more likely it is that they are a good hunter. There are a few things you absolutely must have. You absolutely need a gun or bow, a knife, and your license. After that things become optional depending on what and how you are hunting. On the top of that list for me is camouflage. You may not realize it, but the use of camouflage is controversial in some circles. A surprising amount of people do not believe it works or is necessary. Many states require you to wear blaze orange, and if you can still be successful with that, why not just wear blue jeans and a flannel shirt? It is not a bad point. I will agree that it is not necessary for all quarry and types of hunting. 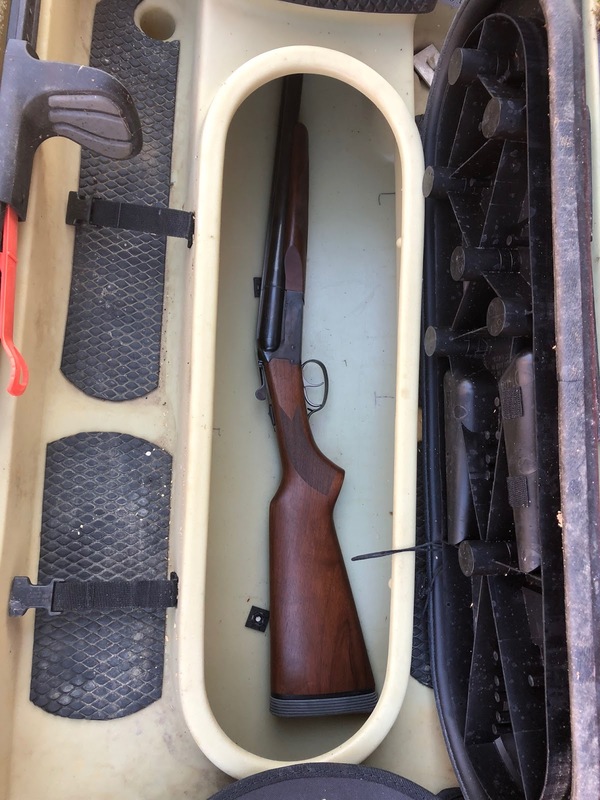 Squirrel and rabbit hunting does not require it. Neither does hunting from a blind or tent (although it is a good idea). However, it is my opinion that camouflage can only help you, and it never hurts you. To understand why, you must know how camouflage works. There are two basic things camouflage does. It matches your pattern with the background and breaks up your outline. Blending in with the background is more complex than it sounds. To do this your camo needs to match the foliage (or lack thereof) that you are surrounded by. For instance, a marsh pattern would not work in a tree stand. In fact, that would make you stand out. This is why you may need several sets of camo, even if you only hunt in one area. The green camo you use in early fall will not blend well in the grey of winter. When the snow falls, you need some snow camo. Remember when I said it is a good idea to wear camo in a blind or tent? A simple all black outfit can be perfect for that situation. 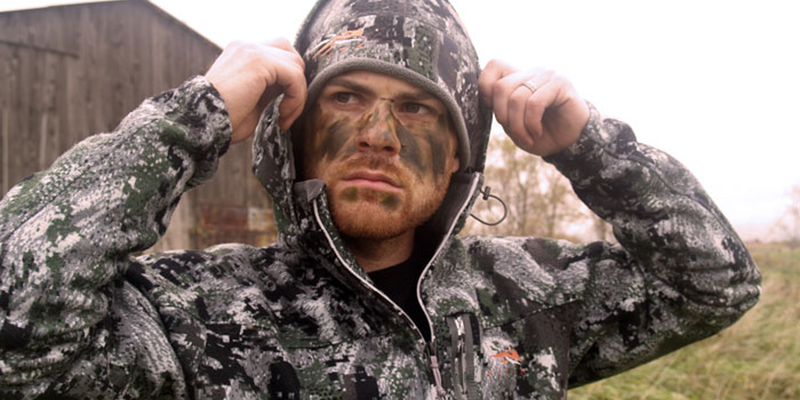 To find the best hunting jackets available right now, check out that link! For the same reason all of your camo should match. A woodland set of pants and a marshland jacket will make you stand out, not blend in. Also, don’t forget your gun and pack. If they are shiny or look unnatural then your camo outfit will be wasted. Blending in is especially important when bird hunting. Birds can see in color and have good eyesight. Mammals, like deer, coyotes, and bear, are not quite as picky about the pattern. For them the most important aspect of camouflage is its ability to break up your outline. Most mammals cannot see color like we can. It is a myth that animals see only in black and white. They do see color, but not quite as many as we do. Deer see blues, greens and yellows the best. They cannot see red well at all. To them, red looks very similar to green. They also cannot tell the difference between shades very well. Camo that is a bunch of different shades green and brown just look like a green blob to them. So with that in mind, when deer hunting you should prioritize camo that breaks up your outline. The color does not matter as much. Things like wide belts, backpack straps, hat brims, rifle scopes, and boots all emphasize your outline and steps should be taken to minimize and camouflage these areas. 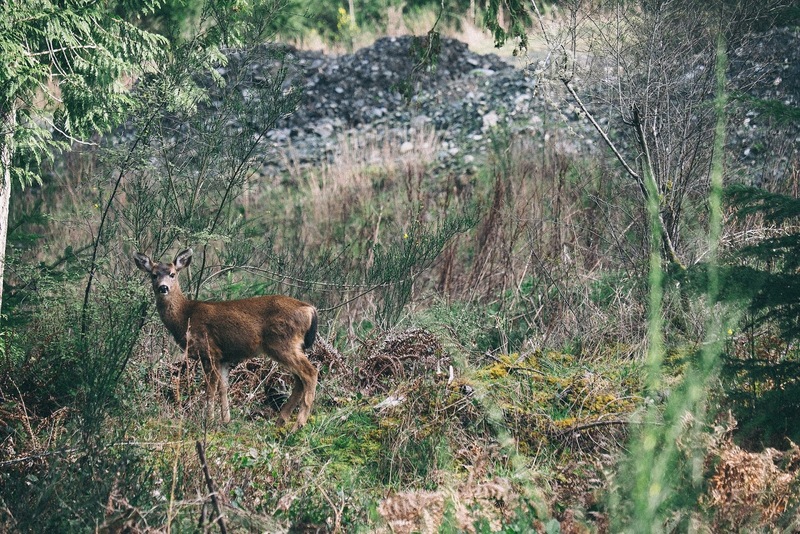 Deer have amazing peripheral vision and notice movement very easily. Keep this in mind when planning your camo. What do you move the most? Your hands, feet, head, and gun (or bow). Make sure you have good camo on these areas, especially your hands! While you are looking into the best camo pattern and type for your next adventure, check out Under The Open Sky. It has some excellent reviews! Every time I think I can’t come up with something else to do outdoors, I stumble upon something fun and engaging! Have you seen the new metal detectors that are on the market now? They are amazing! I love the idea of finding treasure (or something of historical value)! No matter where you live there is the potential to find something interesting. I live in the historic Hampton Roads of Virginia. It is rich in history from colonial days onward. Most here people metal detect for Civil War artifacts. I know one guy in my area who found a saber on his property! The second most popular use is on the beaches. This can actually turn into a small source of income as people often loose jewelry at the beach. 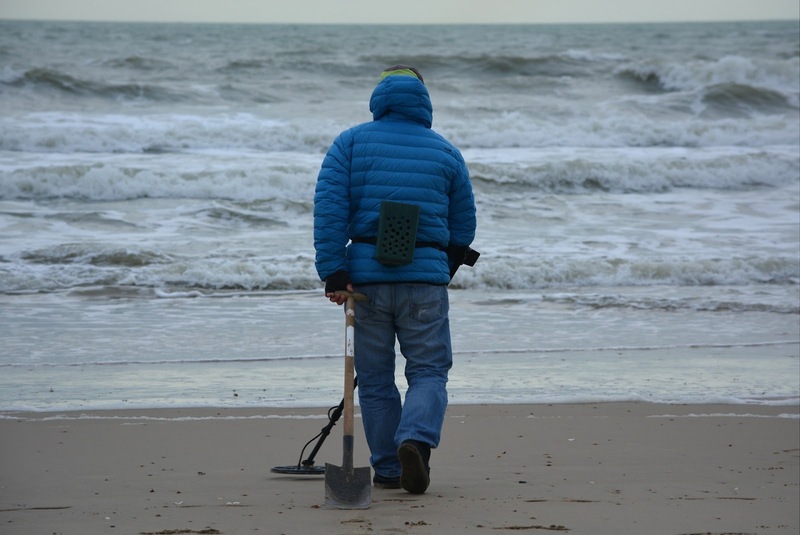 If you are like me and are new to metal detecting, you will need to pick up a just few things. Really, you probably already have a lot of them! Metal detector (Obviously). There are TONS of metal detectors on the market. It is beyond the scope of this post (and my knowledge) to tell you how to choose the best one for you. 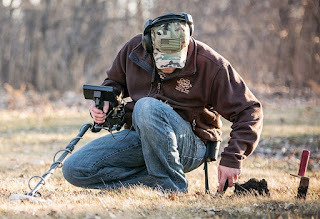 Instead, I recommend you head over to www.metaldetectorlist.com which is an awesome resource for researching metal detectors. Headphones. These are not going to be always necessary, but if the area you are in is noisy they are necessary. Really just about any headphones will work at first. You probably already have a pair. 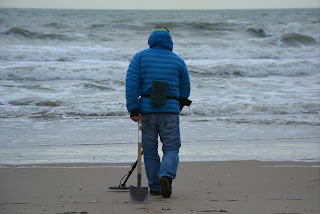 A digging tool. Some people carry a small folding shovel, but I prefer a gardener’s knife. 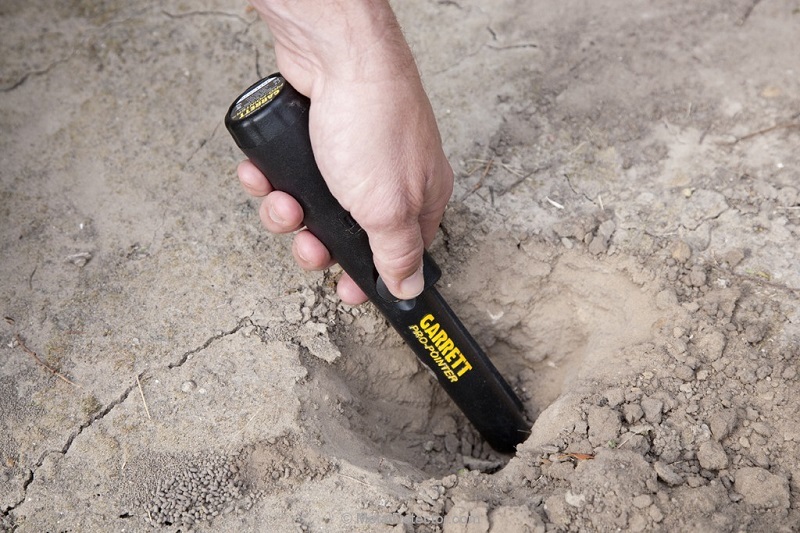 It does not do as much damage to the ground (you can easily dig small holes) and it is lighter to carry. Your choice here is going to depend on your area. If your ground is sandy or rocky, you might want to go with something else. A pinpointer. Another fun gadget! 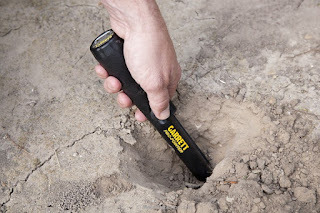 A pinpointer is basically a small metal detector that only goes off when it is very close to metal. These are invaluable when trying to find something small. They cut the time to find something in half easily! Like metal detectors, there are a ton of these on the market. It would take all day to go over and compare the features of all them, so for pinpointer reviews click here. A bag to hold your loot (and the garbage). You will need a tough bag that can get dirty to put the stuff you find in. MOST of what you find will be junk. While I guess it is not technically littering to leave it where you find it, I like to pack it up and toss it appropriately. A lot of the stuff you find will be sharp and rusty. I’d hate for a kid or pet running through the area to get hurt on it. Plus, trash looks trashy. I use a small, old tool bag I have. You can find these in the hardware section of any department store. They are the perfect size and are almost indestructible. See, not that much stuff! Once you have collected your gear, you will need to find a place to metal detect. I recommend starting in your yard. It will help you become more confident with your equipment and will serve as a good dry run. Who knows, you might find something valuable! National monuments. Want to get arrested? This is how you get arrested. National parks. It is illegal to take or leave anything on national parks, or to disturb the ecosystem. Civil & Revolutionary War Battlegrounds. So where can you metal detect? Lots of places. Lots and lots of places. One Wildlife Management Area alone would give a lifetime of metal detecting, so your options are very open. So, with a few simple tools and a place to search, what will you find?